First off, yes, there will be oodles of spoilers. Do not read this until after you see the film, or if you don’t care if you see the film. Or if you don’t mind spoilers, which I don’t, under most circumstances. With this movie, for the first time in a very long time, I actually went in spoiler free. Had I know what happened in advance, however, I probably wouldn’t be as disappointed as I was leaving when I left the theatre. I didn’t hate it. I actually enjoyed it while I was watching it, although it was too long, and the casino subplot could have been completely excised without doing any damage to the narrative. The problem is that I really wanted to love “The Last Jedi.” Probably too much, as I think about it now. Expectations can make or break a movie, and it never occurred to me to tamp them down for this one. All the reviews were stellar; writer/director Rian Johnson has a reputation as something of a wunderkind, and everything I had seen in the previews had led me to believe this was going to be something special. 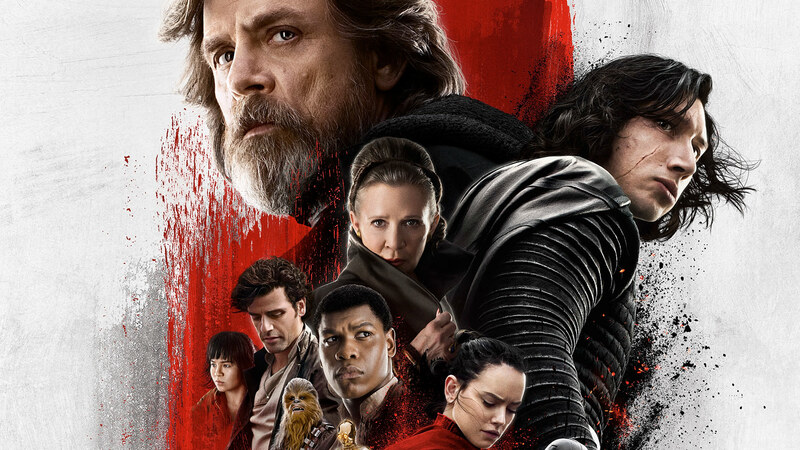 Mark Hamill has said in interviews that his line about how “this is not going to go the way you think” is indicative of the movie, which supposedly pushes these characters in new, exciting, unexplored directions. But that’s the problem. It doesn’t. Sure, there are beats in this movie where you think it could take an unexpected turn. Could Kylo Ren actually be redeemed? Could Rey, perhaps, be lured to turn to the dark side? Could Luke himself be a villain? There are short teases that each of these things is a possibility, but in the end, each of these scenarios predictably resolves in entirely conventional ways. No, Kylo is essentially just a weak Vader retread who may get his moment of deathbed repentance in the next film just like his grandpa did. No, Rey is the pure, unspotted Mary Sue who will never demonstrate a hint of complexity going forward. And good ol’ Luke is just good ol’ Luke, although that’s not to diminish Mark Hamill’s outstanding performance in the film, or the genuinely intriguing final act rescue he performs by remote control. I didn’t quite understand that, though. Why was this interstellar projection solid and then not solid at different times? I understand why the plot required it to be that way, but that didn’t make it any less inconsistent. Was Yoda’s Force ghost solid, too? He seems to be when he hits Luke in the head with a cane. If a Force ghost can be solid, then what’s to stop Yoda from coming in and saving the day? Why doesn’t he hit Kylo Ren in the head with a cane? Anyway, these are quibbles. Luke’s final sacrifice was the only truly interesting thing about this movie. Everything else was just sort of by-the-numbers. What’s even more frustrating is that this didn’t answer any of the questions from “The Force Awakens.” Are we really supposed to believe Rey’s parents are nobodies? If so, then why did she hear Obi-Wan’s voice telling her “these are your first steps” in Episode VII? And who or what is Snoke? Now that he’s dead – in a moment that’s clumsily telegraphed so that it loses its impact when it finally happens – there’s no real reason for the narrative to return to tell his story. He’s just a cookie-cutter bad guy who’s job was to look scary for a movie and a half and then get out of the way. There are so many opportunities to be interesting that go wasted here. Rey is drawn to a very dark place on the island, so dark that it frightens Luke. And she goes there and – what? Sees herself in a weird mirror? It’s visually intriguing, surely, but neither she nor the audience learn anything. It’s just cool for the sake of being cool. Maybe this will all be revisited in Episode IX, but I doubt it. This franchise no longer wants to get bogged down in complications; it just wants to have a credible backdrop on which to stage increasingly generic action set pieces. The underlying mythology behind it is only interesting to us geeks, and Star Wars has outgrown the geeks. One final note. The elephant in the room going forward is what to do about Leia now that Carrie Fisher is no longer with us. It was heartbreaking to watch her in this film, if only because she looked sick and frail throughout, which made her Super Leia moment painfully ridiculous, and not in a good way. There was an obvious way to shift the “Last Jedi” plot to give the character a heroic and meaningful exit – they could have had Leia be the one to do the kamikaze run on Snoke’s ship instead of Laura Dern’s purple-haired cipher. That would have required a minimum of digital trickery to paste her into Dern’s place, but it would mostly involve finding shots of Carrie Fisher standing still and looking wistfully out a window, which wouldn’t have been that hard to do. Then they reshoot the scenes in the bunker and have Dern be the one to follow Rey to safety. Of course, that would have deprived us of Luke and Leia’s reunion, which was one of the most touching moments of the film. And also the most confusing. Why would he give her fake dice, and why wouldn’t she take them with her? He was solid here and not solid outside? But the stuff he brought was solid? What are the rules? Anyway, there’s really no choice the producers have left but to recast Leia. Carrie Fisher is gone, yes, but Leia is not, and the character’s story is not yet finished. There’s clearly an arc that requires her to confront her son and give him one last shot at redemption. Just wiping her out of the narrative offscreen would be far more disrespectful than letting someone else pick up the role. When Richard Harris died, they recast Dumbledore, because the story required a Dumbledore. Episode IX requires a Leia in a meaty and substantive role, and the technology does not exist to credibly create that performance with the late Carrie Fisher’s image. Recasting is the best of a number of bad options. That’s sort of how I feel about “The Last Jedi.” It’s no prequel-level disaster, certainly, but it’s not really very good. Or maybe it’s not that Star Wars has outgrown the geeks, but that I’ve outgrown Star Wars. Which makes me very sad indeed.